Government goes to those who show up. FreedomWorks makes it easy to hold your elected officials accountable in our fully interactive Action Center. Want to see how your legislators voted on key FreedomWorks issues? You can use our key vote scorecards to see how they measure up. Knowledge is power. It makes sure people understand what is happening to their country, and how they can make a difference. FreedomWorks University will give you the tools to understand economics, the workings of government, the history of the American legal system, and the most important debates facing our nation today. Enroll in FreedomWorks University today! Common Core standards are about to go away in Tennessee, but will their replacement be any better? It appears that Tennessee will be next state in line to repeal the increasingly unpopular Common Core education standards, joining South Carolina, Missouri, and Oklahoma. This week, the state House passed HB 1035 unanimously, a bill that calls for Common Core standards to be repealed and replaced with standards designed by the state. The state Senate followed shortly thereafter, passing the bill by a vote of 27-1. As Common Core repeal bills go, this one could certainly have been stronger. There is no language in the bill about testing requirements or the student data collection that is concerning to many parents, and the multi-commission process for replacing the standards will seem overly bureaucratic to many. Moreover, there is nothing in the bill forbidding standards common to a large number of states, or partnerships with the federal government on standards. 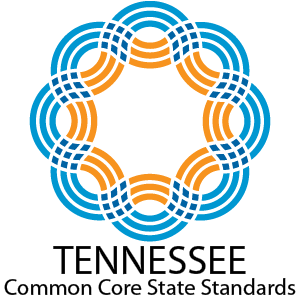 The local group, Tennessee Against Common Core has warned of a mere rebranding like what we saw in Indiana, where Common Core was replaced with nearly identical standards. This is certainly a valid concern, given the current federal laws require standards similar to Common Core in order to qualify for federal education funding. Whether or not a mere “rebranding,” as opposed to more substantive reforms, will occur in Tennessee will be left in the hands of the education commissions set up by the bill, and the work they do. There is little in HB 1035 to reassure skeptics of a good outcome. The fact that a repeal of Common Core was able to achieve unanimous support in the state House and near unanimous support in the state Senate is a testament to how bad these standards really are and how much we need to reverse them. While HB 1035 is far from perfect, it is encouraging that so many lawmakers of both parties were able to agree that something has to be done to fix education. As the public becomes more educated on the issue and more states fight to regain control over their education systems, we can look forward to stronger bills in more states, until we finally end Common Core nationwide. Log in or register to post comments. Happy National School Choice Week! “And at the U.S. Department of Education, Common Core is dead.” This is music to the ears of advocates for federalism, school choice, and, frankly, for student success everywhere. These words came directly from U.S. Secretary of Education Betsy DeVos last week at a conference in DC titled “Bush-Obama School Reform: Lessons Learned,” held by the free-enterprise think tank American Enterprise Institute. FreedomWorks Foundation drove more than 21,000 responses against new rules proposed by the U.S. Department of Education that would implement parts of the Every Student Succeeds Act (ESSA) that was passed by Congress in December 2015 and signed into law by President Barack Obama. The comment period for the proposed rules ended on Monday, August 1. Last week, the Senate Health, Education, Labor and Pensions committee held an additional hearing about the proposed implementation regulations for the Every Student Succeeds Act (ESSA). As noted before, the proposed regulations go well beyond the law passed by Congress as the Department of Education (DOEd) continues seeking to meddle in local schools. The testimony of the witnesses highlights the need for public input pushing back on the federal government’s proposed regulations, which include a potential back door route to reimpose Common Core mandates on the states. Fury Over School Regulations: It’s the Department of Education, Stupid! Last month's proposed rules on school accountability are yet another reminder that it’s time for federal bureaucrats at the Department of Education to get their hands out of our education system. In its latest power grab, the department seeks to enact top-down measures that would remove authority from the hands of teachers, school districts, and state government. The regulation would impose Education Department-mandated accountability measures promulgating federal government oversight over student and school achievement. Yesterday's proposed rules on school accountability are yet another reminder that it’s time for federal bureaucrats at the Department of Education to get their hands out of our education system. In its latest power-grab, the department seeks to enact top-down measures that would remove authority from the hands of teachers, school districts, and state government. The regulation would impose Education Department-mandated accountability measures promulgating federal government oversight over student and school achievement. Common Core Fails, but Education Department Tries to Silence Critics This month we are in the middle of what the Department of Education educrats have labelled as “Testing Season.” That’s right. It’s not duck season, it’s not rabbit season, it’s Testing Season. As hundreds of thousands of students opt out of Common Core testing, teachers are weighing the professional risks of speaking out against this testing. Instead of fixing the problems with Common Core and its myriad of regulations, Education Department bureaucrats have resorted to shooting the messengers – our nation’s teachers. Perhaps Testing Season should be renamed Hunting Season. FreedomWorks was represented at the University of California in Irvine this past weekend at the California Young Americans for Liberty State Convention, in order to push our Generational Theft survey and youth outreach for our upcoming Generational Theft fly-in during the FreePAC: Morning in America Summit, in Cincinnati March 12. The annual State of the Union Speech is an opportunity for the president to update the country on the progress made in the last year, as well as lay out an agenda for the coming twelve months. With 2016 being the last opportunity for Barack Obama to address the nation as president, it’s understandable that he would be more focused on summing up his accomplishments in office than looking forward to the future. Given his actual record, though, it’s no surprise that he has resulted to a few exaggerations, or outright untruths, in trying to whitewash his two terms as Commander in Chief. Here are six claims to be made in tonight’s speech that are unbelievable for the simple reason that they. Common Core is crippling Roman Catholic schools in New York as they attempt to not only keep up with their own academic standards and spiritual development but also include the new controversial material part of Common Core. Want more freedom? Become a member today! Help stop the Democrats’ socialist Green New Deal by signing the petition. Tell these senators to stand with President Trump and put Stephen Moore on the Fed’s Board of Governors. Until Mitch McConnell fixes the filibuster rule we won’t be able to repeal ObamaCare. Sign the petition and make Mitch fix the filibuster. The case on why we still need to repeal ObamaCare.